100% aluminium modular system for indoor and outdoor applications. The Exrail is one of the most innovative systems in the market, considering the mounted accessories on to the mullion profiles it comes with, in KIT form. 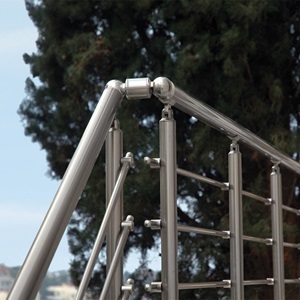 Profiles and accessories can be purchased in pieces (for tubular and rectangular railings), in order to assembly specific structures. The system profiles and accessories are available in anodized INOX finish, creating the effect of stainless steel. 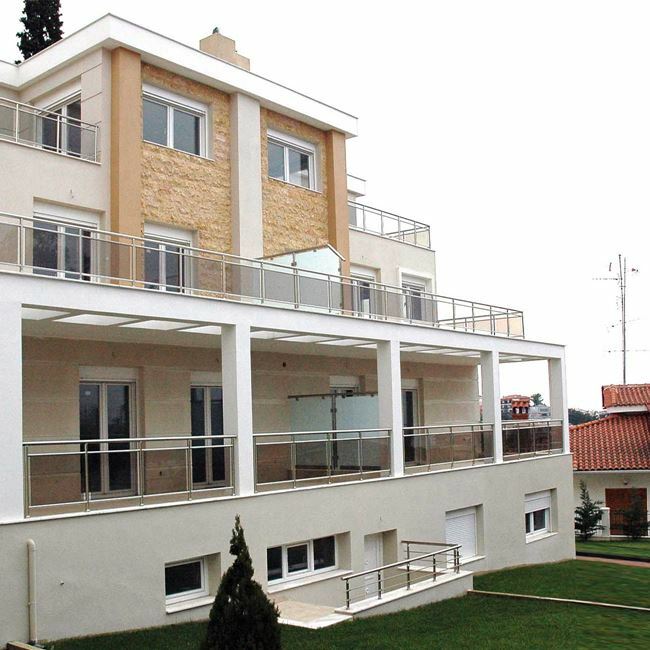 Outdoor applications: Railings in balconies and verandas, exterior staircases, pool areas etc. Indoor applications: Railings for interior staircases, wall-attached rails, alley barriers for banks, hotels, etc.